Mary Lu Ellis, age 87 of Eldora, passed away Thursday, March 28, 2019 at the Hubbard Care Center while under the care of Cedar Valley Hospice. Mary Lu was born on June 26, 1931, the daughter of Earl and Dorothea (Kautsky) Stumpf in Indianapolis, Indiana. She was a graduate of Arsenal Technical High School in Indianapolis. Mary Lu was united in marriage with John W. Ellis, Jr. They had two daughters. The couple made their home in Indianapolis, later retiring to Florida and eventually moving to Eldora in 1996 to be closer to grandchildren. Mary Lu worked for many years in the insurance industry. In her free time, she enjoyed hand quilting and was an avid reader. She loved playing card and board games with her great grandchildren and watching The Lawrence Welk Show every Saturday ­­­night. She refused to miss watching The Price is Right and often tried answering the questions on Jeopardy. She also loved Hershey chocolate and tapioca pudding. 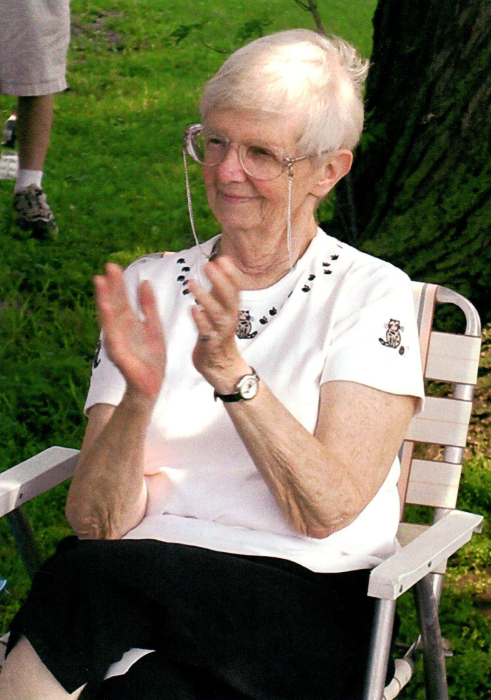 Mary Lu is survived by her two daughters, Dottie (Larry Cranston) Rains and Beth (Bob) Olsen all of Eldora; two granddaughters, Jenny (Chris) Ingledue of Steamboat Rock and Kyra (Jerrod) Keith of Solon; five great grandchildren, Olivia (Justin Anderson) Ingledue of Polk City, Megan (Tom Hassan) Ingledue of Eldora, Alex Ingledue of Steamboat Rock, Camryn and Carson Keith of Solon. She was preceded in death by her parents and her husband John. There will be no formal services held per Mary Lu’s wishes. Memorials may be made to the family for a designation of their choice. Abels Funeral and Cremation Service – Creps Chapel is assisting Mary Lu’s family.